Chronopost supports more than 5800 e-merchants in the development of their business. Access the most innovative transport solutions on the market and offer the best express delivery experience to your customers, in France or around the world. 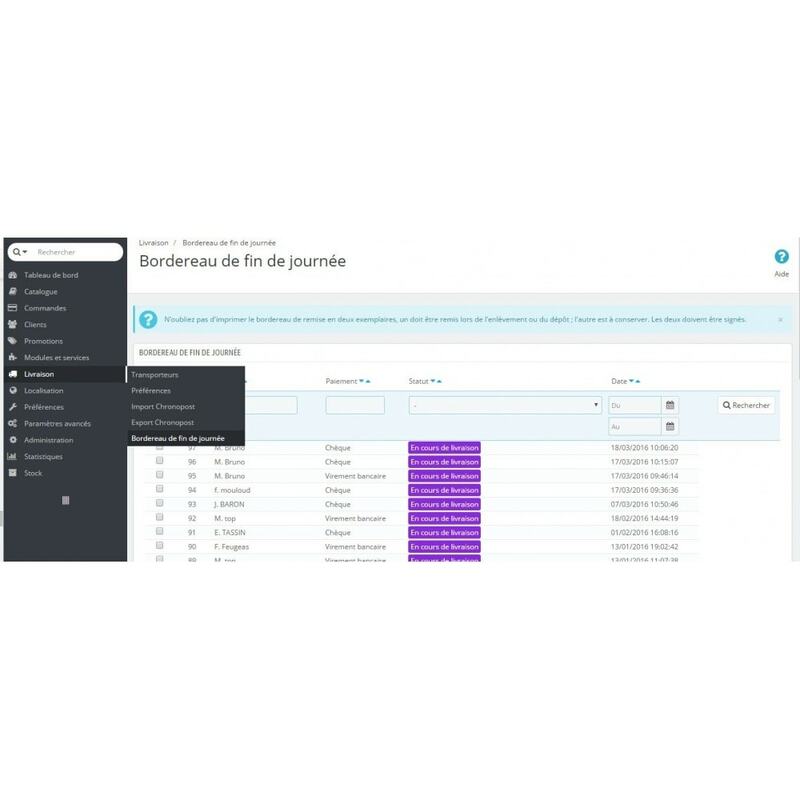 Thanks to the Chronopost extension, offer your customers the most innovative delivery methods on the market and develop your business in France and abroad easily! No additional development is required, all Chronopost's Express delivery offers and services are included in this module. You will be able to easily present to your customers the different contractualized services. The simple and quick installation and configuration of the module will allow you to start your business quickly. Technical support by Chronopost is available if necessary. 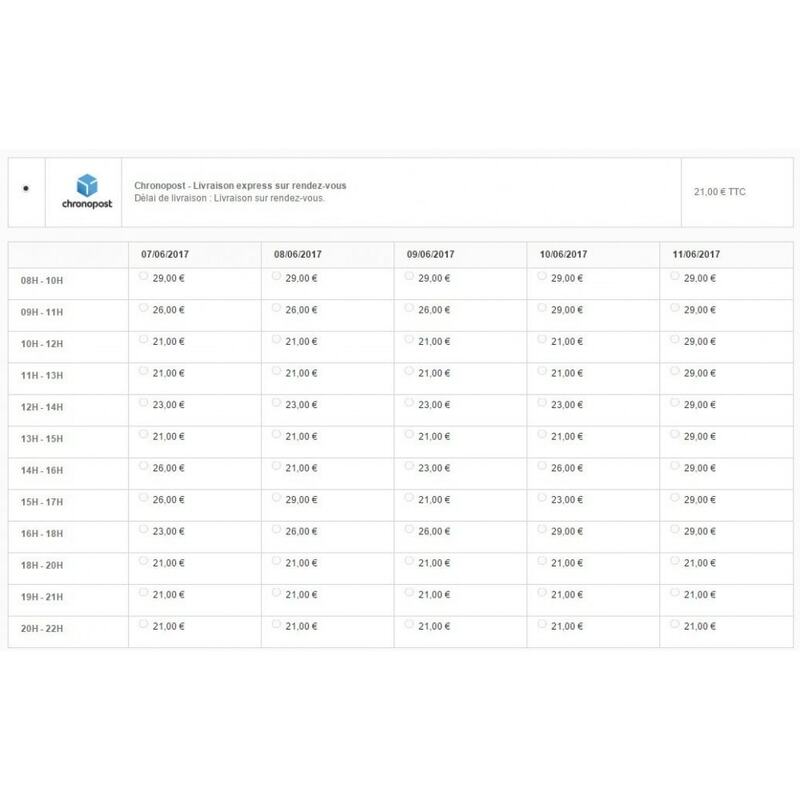 - Activate automatic pricing according to your contract with Chronopost (you can add a margin to the cost). - Generate the shipping label one by one, by mass or by exporting a file. - Send to your customers a return label. - Edit and personalize the tracking emails. If you offer relay delivery, be sure to configure the Google Maps API key. If you already have other configured carriers using Google APIs, you may encounter conflicts. 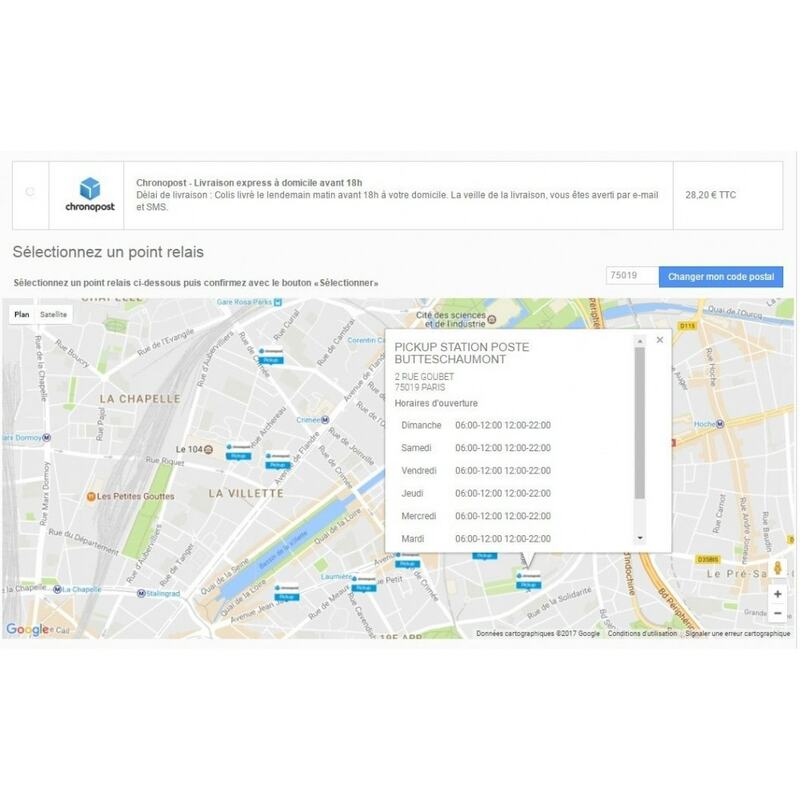 In this case, remove the Google Maps API key configuration from the Chronopost module and the problem should be solved. With this extension, your customers benefit from Chronopost's expertise in delivering to consumers. They can choose the different Chronopost delivery methods directly from your site. obtain the tracking of their shipment. 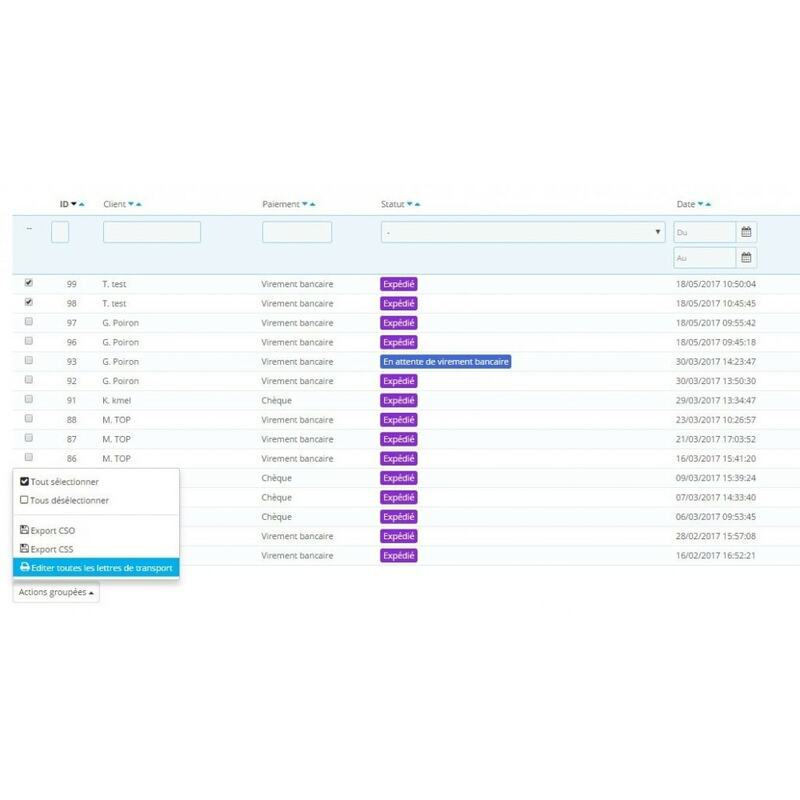 offer the Predict interactive notifications service to your customers: your consignee are notified by email and SMS the day before the driver arrives and the D-Day and can take control of their parcel. This extension is verified for Prestashop 1.5.X to 1.7.X. 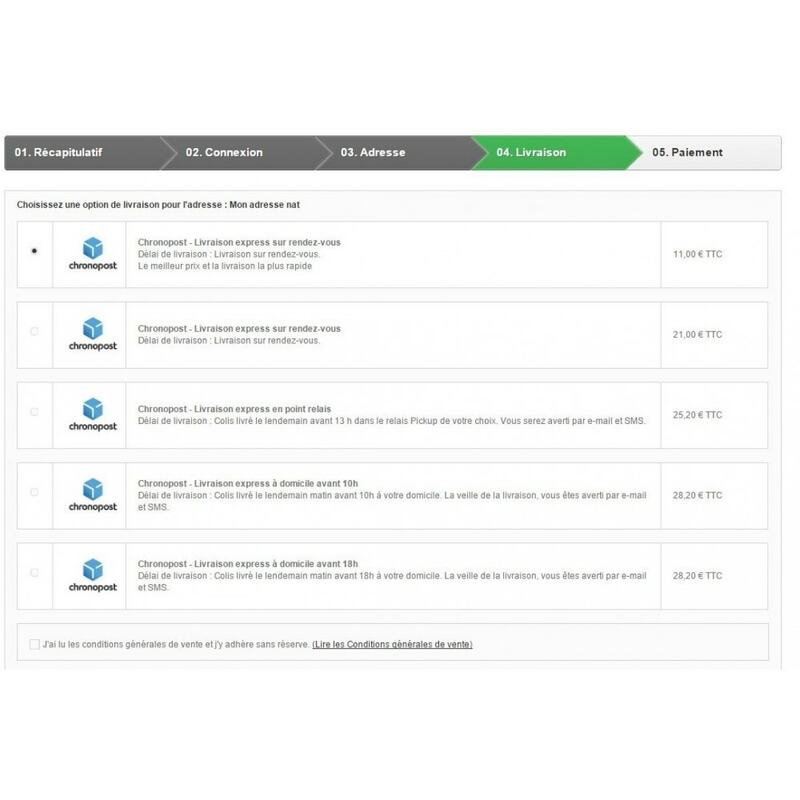 - This module requires authorization of flows to and from the IP chronopost.fr (www.chronopost.fr-84.37.93.134) on port 80. Find out our official extension verify by Prestashop for the 1.5, 1.6 and 1.7 versions. This guarantee a perfect integration of our extension in your store. In order to configure the extension, you will need a Chronopost contract number, visit our website and contact us to have one.